If you want to give a personalised gift which will make sure you’re remembered all year round, try one of the personalised Calendars available from Getting Personal. 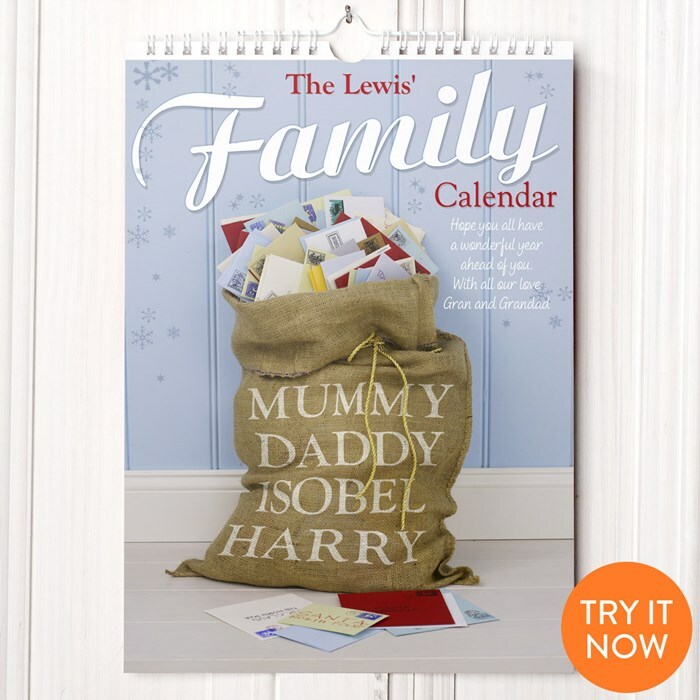 Traditionally, calendars are given at Christmas but these brilliantly innovative personalised calendars allow you to choose the starting month so you can give it a great present all year round. The calendars are wonderful because they actually let you customise every page – when you order and choose a name, that name will be insert into the images for the whole year. And if you choose a family or couples option, you can include four or two names which will be incorporated in to every photo in the calendar. What a clever idea! The “Our Family” calendar – four names can be added. Hot hunks calendar – personalised for “Julia Lewis” in this example but the name you choose is entirely up to you! The personalised calendars are £9.99 for A5, £14.99 for A4 and £16.99 for lovely big A3. For lots more personalised calendar ideas, visit the personalised calendars page at Getting Personal.